From this tutorial you’ll learn how to deal with No Database selected error which sometimes appears when importing SQL files. 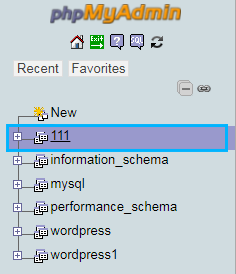 In phpMyAdmin you can view the list of the databases on the left. 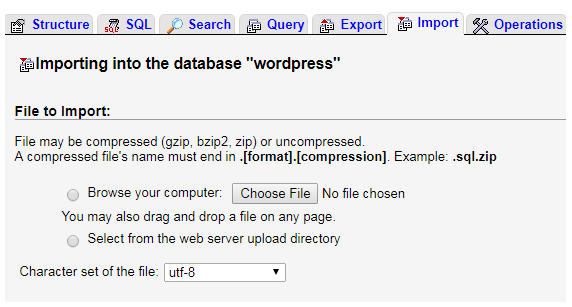 Click on one of the databases in order to select it. Click on Import tab on the top of the phpMyAdmin panel and browse the necessary SQL file from your hard drive.Then click Go button to start importing database tables. Open your browser and navigate to your website page. You need to refresh it to see the changes.